Hong Kong, officially the Hong Kong Special Administrative Region of the People's Republic of China, is an autonomous territory on the Pearl River Delta of China. In 2014, Hong Kong was the eleventh most popular destination for international tourists among countries and territories worldwide, with a total of 27.8 million visitors. Hong Kong is also the most popular city for tourists, nearly two times of its nearest competitor Macau. Visit Hong Kong with this one day Hong Kong itinerary that allows you to explore Hong Kong’s top attractions. Visit two great museums – Art and History, stroll through Kowloon Park and the famous Avenue of Stars and finish at Victoria Peak and enjoy the splendid view of the world famous skyline. If you are in Hong Kong for one day and would like to see its top attraction then this plan would be the best for you. The belows are recommended attractions, but not the final arrangement. The detailed arrangement will be updated in September 2019. The Hong Kong Museum of History began as part of the City Museum and Art Gallery which was split up into a separate Art Museum and the History Museum in 1975. The museum covers 17,500m² with 8 galleries spread over two floors. There are more than 4,000 artifacts in the permanent collection and 750 graphic panels, 53 multi-media displays, 8 large walk-through theme rooms, dioramas, theatrical shows, interactive stations, audio-visual and lighting effects. The museum is housed in a new, modern facility with a state-of-the-art design. The museum covers the history of Hong Kong and South China. The museum tells the "Hong Kong Story" and covers the natural environment, folk culture (ethnography) and historic development starting with the Devonian period, 400 million years ago. The periods covered include the Opium Wars, Japanese occupation and the growth of the modern metropolis. The exhibit follows Hong Kong through to 1997 when Hong Kong was reunited with China. 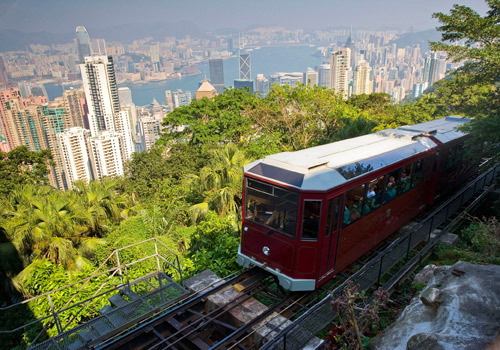 Victoria Peak is the name of a mountain on the main island of Hong Kong; it is also called Mt. Austin and "The Peak." The mountain reaches 552 meters and is the island's highest peak. The main attraction of the mountain is the view from the slopes. While the summit is off limits to the public (a radio telecommunications facility occupies the summit), the slopes are covered with parks and attractions as well as some of the most expensive real estate in Hong Kong. In 1868 Governor Sir Richard MacDonnell had his summer home built here and from 1904 to 1947 Victoria Peak was reserved exclusively as a residential area for expatriates. The Peak Hotel opened on the mountain in 1873 but was destroyed by fire in 1938. With the implementation of the tram routes in 1888 running up the mountain the area gained more visitors and traffic. Money changing services can be found not only at the Macau International Airport but also most shopping centres and hotels around the island. The official currency is Hong Kong Dollar. 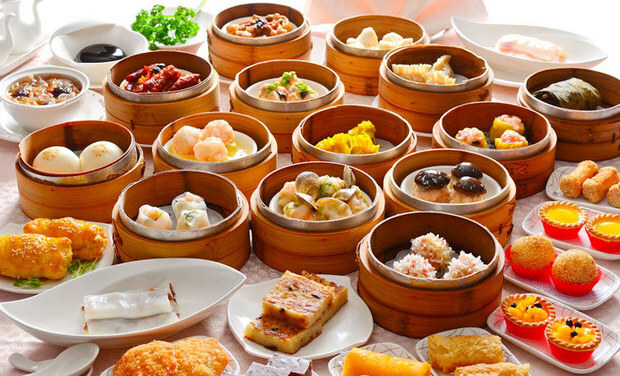 Hong Kong Foodie takes hungry souls from around the world on Hong Kong food tours that delight and excite the senses. Accompanied by one of our expert Foodie Guides, you will learn about Hong Kong’s famously food-obsessed culture and savor its best-loved dishes at hidden-away neighborhood gems. All our Foodie Guides are Hong Kong locals who love to share their stories about living in Hong Kong, its history and culture, and what makes it one of the most exciting cities in the world. By the end of our journey, you will have a full, happy belly and know more about Hong Kong than many locals!